Keira Knightley, along with her husband, had not been seen for a long time at social events. The last time they appeared at one of the receptions more than a year ago. And then the couple came out again and immediately got everyone's attention. The couple decided to choose vintage looks for themselves. Keira wore a laconic closed black dress with shiny frills and looked amazing. But James eclipsed her. The 34-year-old vocalist of the British band Klaxons appeared in public in a bright red suit and a white shirt. And instead of a tie or a butterfly, Righton tied a narrow black satin ribbon with a bow. Fashion critics immediately awarded James the title of the most stylish man of the evening. And the couple's fans divided into two camps. Someone liked Righton's look, while others said that the musician looks too feminine. 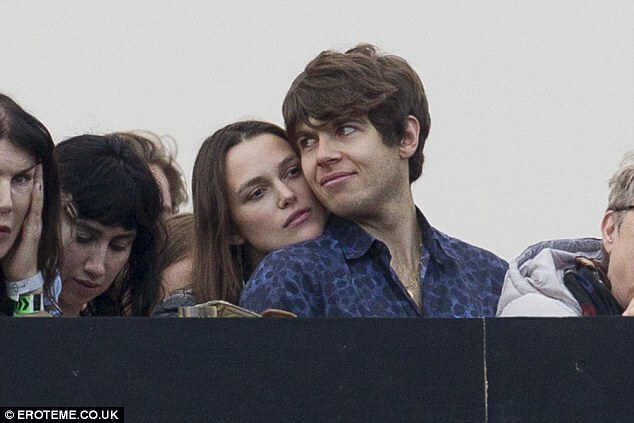 Recall, Keira Knightley and James Righton - one of the strongest pairs of show business. The actress and her husband still often behave like adolescents in love. And this despite the fact that their daughter will soon turn three years old. 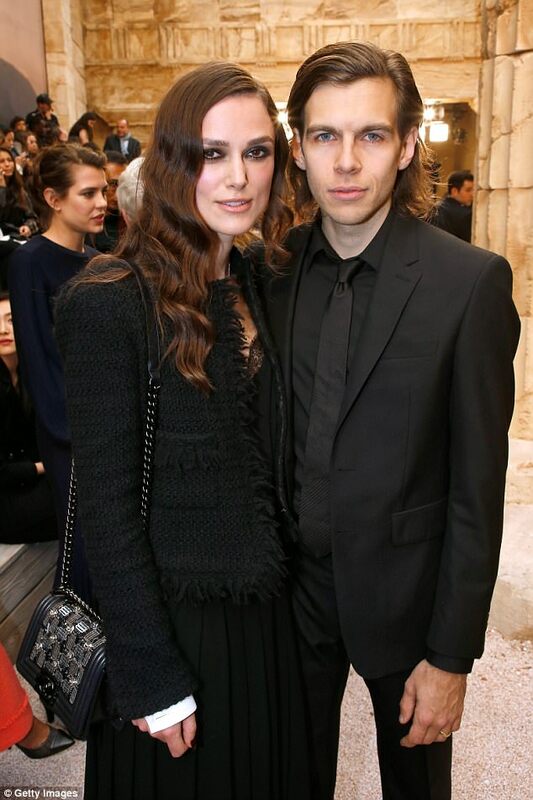 Web users are often criticized appearance and sense of style of Keira Knightley, but her husband James Righton, who usually follows the actress like a shadow, is rarely discussed, although he is quite a popular musician in the UK. This time the appearance of James, who has put on the red suit, surprised many. Spiteful critics pointed out that due to the failure of a style Righton's skinny figure looks almost girlish. Many noted the long hair of the actor and came to the conclusion that James looked like a girl. 32-year-old British actress and her husband, musician James Righton have been together for 6 years - and gradually become more and more similar to each other. 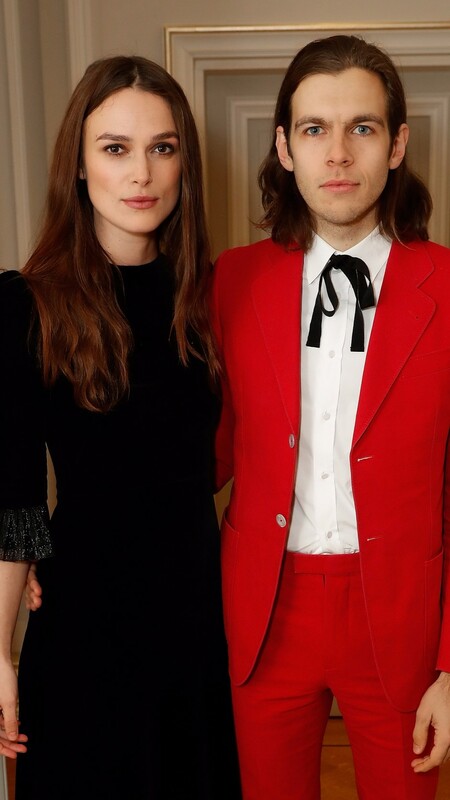 To yesterday's event Keira Knightley chose a black velvet dress by the brand called "The Vampire's Wife" (~ £ 1,600), but Keira's husband made a splash in a scarlet dress and with long hair - fans begged him to get haircut. 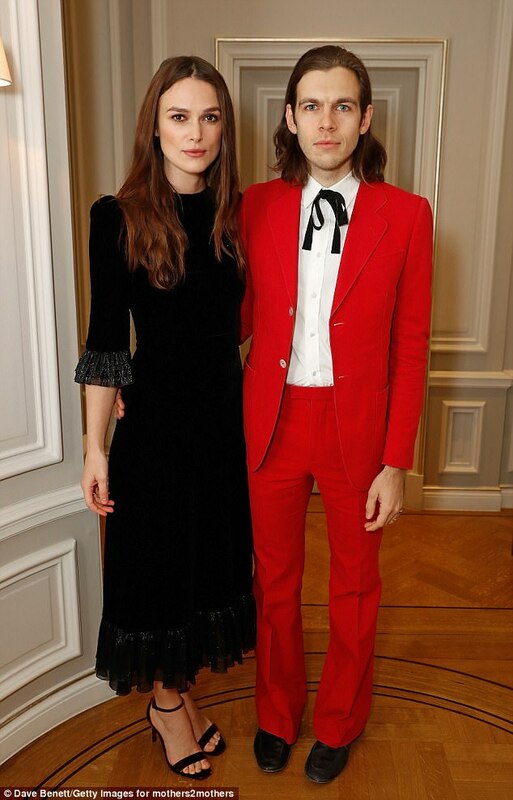 James Righton wanted to look like the Australian singer Nick Cave, who along with his wife founded the fashion brand "The Vampire's wife." Their collections are populare among celebrities - Kate Moss, Dakota Johnson, Kylie Minogue and others. But fans did not appreciate the way: "If my husband look like that at the party, I could not help it: I would have giggled and teased him all the time ". "James looks better with short hair. Give him a pair of scissors! ", "He looks like a girl" "How thin!" "Yes, they were both exhausted." But since then, the musician planned to grow his hair. Young parents of 2-year-old daughter Edie, Keira Knightley and James Righton do not like to advertise their privacy, do not show the baby - only occasionally they are caught by paparazzi. 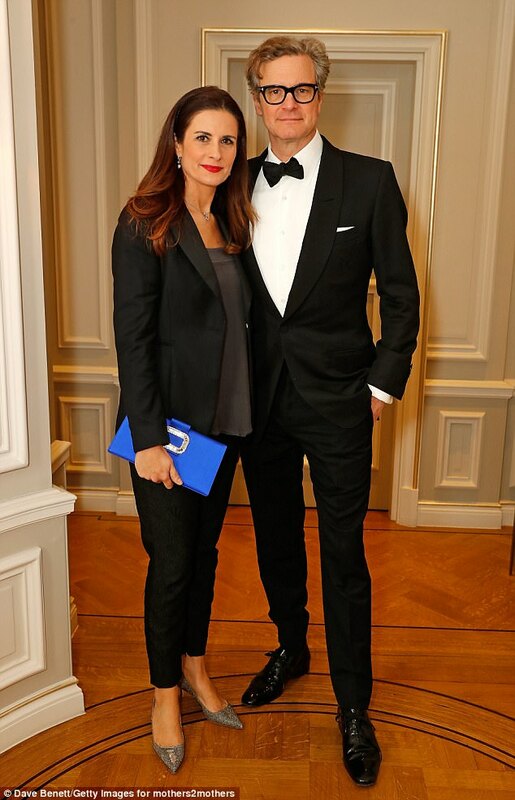 Mothers2mothers charity event was organized by actress Salma Hayek, who recently said that in her 50 years she is not obliged to look perfect 24 hours a day, and her husband, billionaire François-Henri Pinault. Apart from Keira Knightley and her husband, the party was attended by another British celebrity - 57-year-old Colin Firth and his wife Livia.